When asked about what food that comes to mind for Easter celebrations the result was unanimous – Chocolate, chocolate and you guessed it, chocolate! Oh and seafood. With that in mind our Head Chef developed the Ultimate Easter Buffet for you to enjoy. Chef is creating a very special chocolate surprise – a massive chocolate egg? Perhaps a chocolate garden with playful chocolate bunnies? Or a monstrous chocolate cake…? Who knows, you’ll have to join us on the 4th to find out. How to conquer our Easter Buffet ? With Chocolate on the brain let’s work backwards and start with desserts. First get creative with our creamy smooth milk chocolate fountain, assorted Easter chocolates and chocolate mousse. Plus there’s strawberry trifle, mango pudding and lemon drizzle cake. After you’ve filled up on desserts, next is our delectable buffet menu. Stack your plate high with poached banana prawns, smoked salmon, charcuterie platter, roast chicken and feta or maybe quinoa and beetroot salad. Third, order a bottle of Margaret River Wine and get ready to be tantalized by pepper crusted lamb, beef madras curry, grilled salmon with béarnaise, honey glazed ham plus a medley of salads, vegetables, breads and rolls. Finally we suggest you grab warm toasted hot cross bun, then head back to the dessert bar and squeeze in one more chocolate egg. If you can still move after all of that congratulations you have conquered our Ultimate Easter Buffet. To see the full Easter Buffet menu and to book a table click the learn more button. Music by Day, Movies by Night. It’s the perfect way to watch a movie on comfy bean bags under the night sky of Perth City. 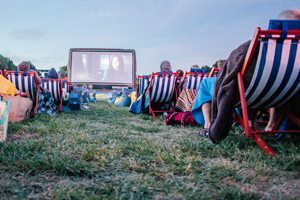 Ben & Jerry’s Openair Cinema will return to Perth in 2015 from 19 March to 26 April with feature films lighting up the huge screen. Action, Thriller, Drama, Family, Sci-Fi there is something for everyone and to top it off, every Sunday screening is a “Sundae Session” with FREE Ben & Jerry’s ice cream for all. With so many events on in Perth City over the April school holidays and Easter long weekend, you’ll be spoilt for choice. Take a river cruise from Barrack Square or go shopping in Perth CBD. Visit the city’s lively small bar precinct or watch your favorite team play at near-by sporting venues. 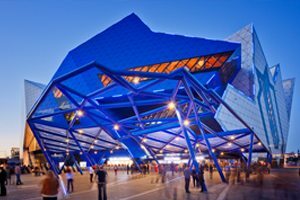 See the latest act at Perth Arena or try your luck at the casino complex. City of Perth will host a range of free events for families so it’s the perfect time to head into the city for an overnight stay. Forrest Place will be packed full of Easter fun activities over the School Holidays and Free Flicks for Kids will return to Northbridge. See our Perth Easter Specials promotion page and plan your city adventure today. Worldwide, more than 8 million people in 243 cities have seen the show and in April 2015 the theatrical event Walking with Dinosaurs is coming to Perth Arena. Watch them walk and hear them roar Fri 17 to Sun 19 April 2015. Renowned designers have worked with scientist to create life size dinosaurs that will capture the imagination of the young (and old) who witness this incredible story. In April you can also catch head line acts like Ed Sheeran, The Scrips and the Internets biggest music and comedy talents at AMPLIFY 2015. Take the weekend off and be inspired by world-class entertainment and dining at the spectacular Crown Casino. Witness the biggest magic show on the planet The Illusionist 2.0 featuring eight new masters of mental and optical illusion. Spend less on accommodation with our Perth Easter Specials, allowing you to spend more on the prestigious restaurants and world-famous International entertainment Crown Casino has to offer. Just a short 5 minute drive on the Causeway, the extraordinary Crown Casino Entertainment Complex is practically on our doorstep. We are celebrating 150 years since drinks mixology was created and the first cocktail recipes appeared in print. 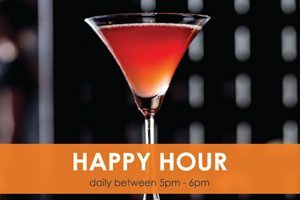 To celebrate this event, visit us during Happy Hour between 5pm and 6pm and enjoy 25% off any cocktail from our specially crafted selection. Experience Perth on Bike. Hire a bike from our concierge recreation facilities and take a ride along the Swan River. The loop around the river is the perfect way to see both sides of the city without exhausting yourself. There are also many walking tracks for you to discover or simply stroll along riverside paths taking in all the natural beauty surrounding our hotel. Join in at Buddha’s Birthday and multicultural festival. This free event allows people from all backgrounds to come together and celebrate ceremonies & rituals, cultures & arts, multicultural food, music and dance. The event will be held in Langley Park on Sat 18 and Sun 19 April. 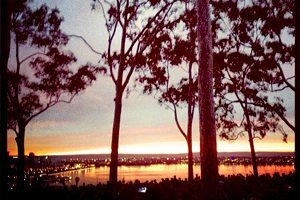 If you are looking for a magical experience and tribute those who have served for us then you must attend the Kings Park Dawn Service. Last year a record number of people turned out at Kings Park for the dawn service. 2015 is the first year to mark 100 years of ANZAC since our nation’s involvement in the First World War. The Program aims to give all Australians the opportunity to honour the service and sacrifice of all those who have worn our nation’s uniform. Kings Park is a 10 minute drive from Crowne Plaza Perth. The dawn service is from 5.30am to 7.00am on Saturday 25th April 2015. See our concierge team for the best tips on how to get there. After the dawn service avoid city crowds and fill up with a hearty ANZAC day breakfast at Gusti Restaurant. Serving a full buffet breakfast from 6.30am to 10.30am – $35pp. 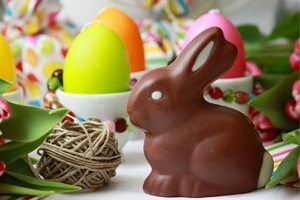 Treat yourself this Easter Holiday with lots of chocolate and accommodation in one of our River View guest rooms overlooking beautiful Langley Park and the Swan River. Save on overnight or weekend accommodation with our Perth Easter Specials available throughout April. We have put together the ultimate Perth Package which includes parking and breakfast for two leaving you more to get to know the real Perth. Check out of Promotions page or Contact us today.